Dolav was able to cooperate with Teva to meet short deadlines with a pallet that exceeded Teva’s stringent quality requirements. Israel-based pharmaceutical giant, Teva Pharmaceutical Industries has rationalised its logistic palletising system to simplify it and reduce costs with a new purpose-designed plastic pallet from Dolav. Teva selected Dolav because Dolav was able to cooperate with Teva to meet short deadlines with a pallet that exceeded Teva’s stringent quality requirements. It had the best performance for its cost and Teva ordered 70,000 Dolav pallets. 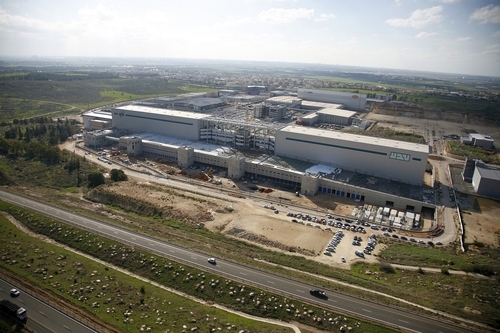 Teva’s newly-opened $100 million logistics hub of 77,000 square metres (19 acres) at Shoham, Israel, one of the largest in the Middle East, it was opened by Israeli President, Shimon Peres on 1st March last year. Already 35,000 new-design Dolav pallets are in use on the fully automatic racking system. The new hub serves mainly as Teva’s international distribution centre and also supports all the Teva factories in Israel. It is intended to reduce truck-loading time from an hour to just ten minutes and to take in to account how Teva will grow over the next 10 years and beyond. As one of the largest manufacturers and providers of active pharmaceutical ingredients and the world’s largest generic pharmaceutical company, logistics and material handling efficiency and cost are a high priority for Teva. Previously Teva used various pallet types in its plants including wood and plastic. With the expansion in activity and opening of new production sites Teva decided to significantly reduce the cost of re-equipping by specifying a new tough pallet which was easy to clean. The procurement schedule was very tight and impossible without good cooperation. Teva and Dolav signed the contract in May 2010. A week later Dolav ordered the mould produced first-off mouldings in October and sent the pallets to Teva in November. Just in time! 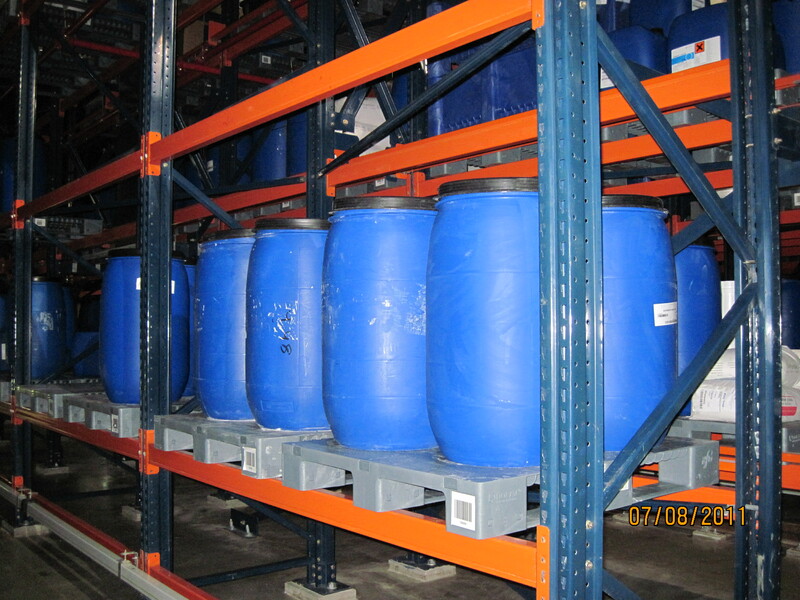 The new-design polypropylene Dolav pallet met Teva’s stringent specifications for maximum loads of 2000Kg static and 1500Kg dynamic and racking of 1000Kg. At 1200X1000x150mm the pallet weighs just 25Kg and beats the maximum allowed deflection of 5mm after 30 days at a load of 1000Kg on a 1000mm rack opening. It deflects less than 3mm in the 23 degrees Celsius ambient heat of the Israeli warehouse. Temperature performance parameters are -30 to +60 in use and up to 80 degrees Celsius during cleaning. Impact resistance of the new polypropylene compound is 30-50 percent better than HDPE compound at ambient temperature. 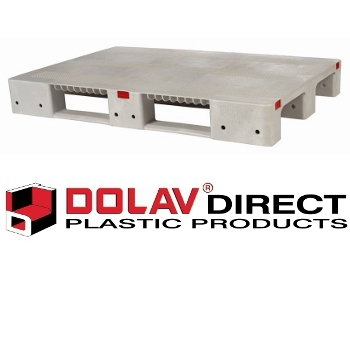 The polypropylene Dolav pallet has three integrated skids and is reinforced with three steel bars. To ensure no accumulation of granules and leftover pills, pallet design eliminates cavities and all openings are capped. Because the pallets travel on automated conveyers they were given tough heavy-load tests in the warehouse and passed through the conveyer and racking systems faultlessly. During production Dolav consistently checks to measures dimensions, distortion under load and surface finish. In addition to achieving compliance with FDA/GMP requirements for pharmaceutical environment Dolav has added options including perforated platform, safety rim, two runners and nine-leg versions for other customers.